Russian cosmonauts working on the International Space Station (ISS) are conducting 295 scientific experiments, Chief Designer for Crewed Space Systems, Academician of the Russian Academy of Sciences Yevgeny Mikrin said on Tuesday. "Currently, the program includes 295 experiments," the chief designer said at the 43rd readings on cosmonautics devoted to Soviet Rocket Designer Sergei Koroloyov. 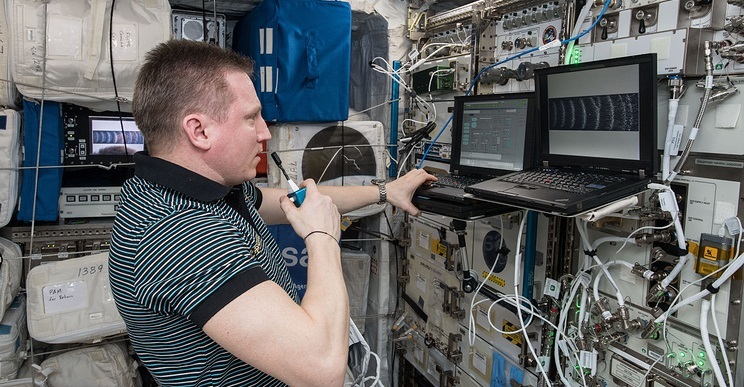 The cosmonauts are conducting the research in six areas: physical-chemical studies, the exploration of the Earth and outer space, the study of humans, space biology and bio-technology, the technology of exploring outer space, and also the work to popularize space research, Mikrin said. In particular, it was proven during the biological experiments that the plants grown in the conditions of a space flight do not lose their reproductive functions. The cosmonauts also tested promising materials aboard the ISS for the creation of space hardware. They also studied various systems of the human’s body up to the cellular level. The 43rd Korolyov readings opened at the Bauman Moscow State Technical University on January 29 in memory of Academician Sergei Korolyov and other outstanding domestic scientists who helped Russia make a breakthrough in outer space exploration. The readings will run through February 1.